eight + = 11 Required Please enter the correct value. UPDATE: FOX News, citing unnamed sources, has reported that Alibaba is targeting Sept. 16 for its IPO, but that has yet to be confirmed by the company. No final decision has been made regarding the Alibaba IPO date, but Alibaba officials have said they'll wait until after the Labor Day holiday (Sept. 1) to hold the massive initial public offering. The Alibaba Group Holding Ltd. (NYSE: BABA) IPO could raise as much as $20 billion, making it the largest initial public offering in U.S. history. Currently, Visa Inc. (NYSE: V) holds the U.S. record with its $19.65 billion IPO from 2008. Facebook Inc. (Nasdaq: FB) held the largest ever tech IPO when it raise $16 billion in 2012. For an initial public offering of that size, the IPO process can be complicated and subject to delays. 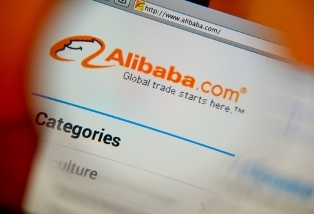 The Alibaba IPO has already been delayed once, as many had projected the company would make its debut in early August. The IPO process is not only a long one, it can also be a bit secretive to prospective investors. Much of the process happens behind closed doors, as the company and the underwriters work to finalize the financial documents and the timing of the deal. For months, investors are left in the dark and hear only leaked rumors. When the IPO prospectus is filed, however, investors get a peek inside the company. That's exactly what analysts and investors got on May 6 when Alibaba officially filed for its IPO. The IPO filing revealed many of the company's financial figures, the underwriters on the deal, and the company's biggest shareholders, along with many other insights. After sending the IPO filing to the U.S. Securities and Exchange Commission (SEC), Alibaba updated its filing about one month later after the SEC requested a revised document. Since then, the only major announcement from Alibaba officials is that the IPO will take place after Labor Day.